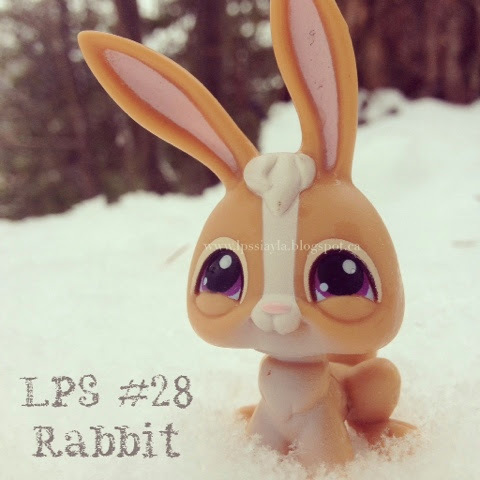 28 is this tan coloured rabbit. It has a white stripe on it's face with a white moulded tuft of hair on his head. There is white overspray on it's belly and his eyes are a pretty purple colour.